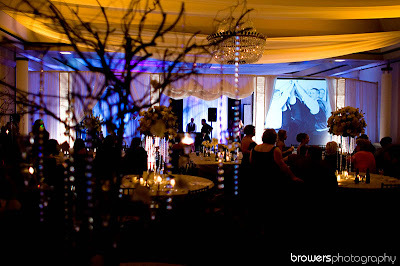 This was a wedding that really sparkled! Mindy and Kenny really made every detail of their Labor Day weekend wedding a personal touch. Mindy LOVES crystals and added them in as her signature part of the day. Our hats are off again to Sabrina and her staff at Proposing Dreams for putting together an awesome day for her clients. Thanks for Browers Photography for these primo shots! 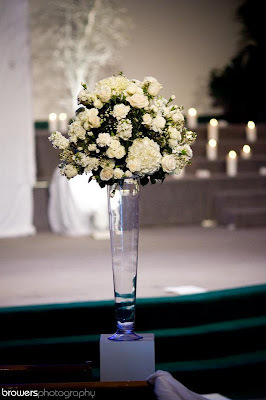 All white “ball” flower arrangements lined the aisle for the bride’s entrance. 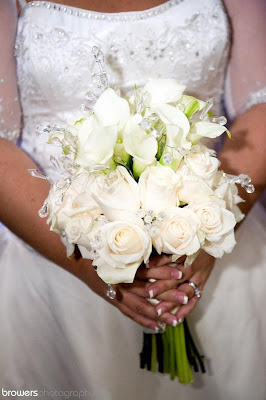 The bridal bouquet was white mini callas surrounded by ivory roses and “sprinkled” with crystals. 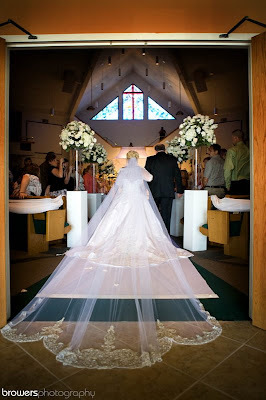 The aisle flowers from the church were transported…………. 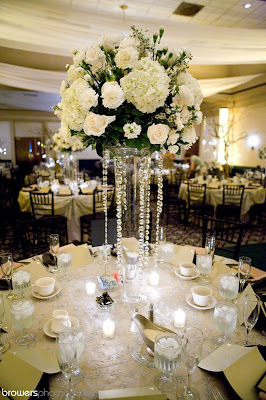 …….to the Holiday Inn ballroom where we added hanging crystals and used them as centerpieces on half of the tables. We wish Mindy and Kenny many happy years together. Thanks for having us as a special part of your day!